If ABBA ever were to reform, Australia would be top of the list on their comeback trail. But don’t get your hopes up, because the chance of pop music’s most anticipated reunion happening is ‘‘absolute zero’’, singer Bjorn Ulvaeus says. Instead the man behind disco floor fillers like Mamma Mia and Dancing Queen is inviting fans to soak in the nostalgia of Sweden’s most famous foursome at ABBAWORLD in Melbourne. The interactive exhibition arrives in June after a successful opening in London and Ulvaeus says there was never any doubt about the choice of its second location. ‘‘Australia was the first country that took ABBA to heart and we never forgot about that. We always felt a lot of love from audiences there,’’ Ulvaeus said from Stockholm. While ABBA are warmly regarded as one of the greatest pop bands of all time, it wasn’t always that way. Despite winning the Eurovision Song Contest in 1974 with Waterloo, the spandex wearing quartet were originally written off as one-hit wonders. ‘Britain and America didn’t take us seriously and it wasn’t until S.O.S became a huge hit in Australia that other countries took notice,’’ recalled Ulvaeus. 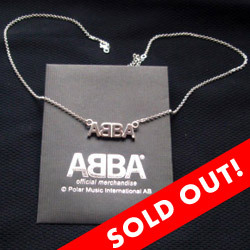 Australia’s love for ABBA blossomed on a string of follow up hits, including Mamma Mia and I Do, I Do, I Do, I Do, I Do. The band were so blown away by the reaction of fans at their early live shows, they returned in 1977 to film ABBA: The Movie. ‘‘I remember arriving in Melbourne and fans had lined the streets and were waving and screaming. They waited outside our hotels so we were pretty much locked in. ‘‘We experienced a feeling of coming home and it was as if Australia felt ‘ABBA is ours’ and we loved that. Ulvaeus and fellow founding members Anni-Frid ‘‘Frida’’ Lyngstad, Benny Andersson and Agnetha Faltskog have previously been offered $US1 billion ($A1.18 billion) to reform.The four have never officially split but instead opt to live off the royalties of their hit songs and albums, as well as pursuing other projects like the smash musical Mamma Mia! They famously gave their blessing to tracks being used in two 1994 Australian films, Muriel’s Wedding and The Adventures Of Priscilla Queen Of The Desert. ‘‘We usually say no to things like that but these two films were so touching that we agreed, and I’m happy today that we did,’’ said Ulvaeus. ABBAWORLD looks set to be the latest chapter in Australia’s love affair with the legendary pop act. ‘‘It should be interesting to Australian audiences because much of it focuses on our humble beginnings,’’ explained Ulvaeus. And what of relations between his former band mates, are they warm? ‘‘We certainly speak and are the best of friends really. I don’t see the girls that much but me and Benny work together. ABBAWORLD, the Official Interactive Exhibition approved and supported by ABBA, opens at Melbourne’s Federation Square on Saturday 19 June. Titled Abba. Une légende nordique (Abba. A Nordic legend) It features a new photo on the cover from the Voulez-Vous single photo session. There will also be many new pictures in the book. Comments : Comments Off on Abba. A Nordic legend. ABBA SHOW TO RING A FEW BELLS! MY, my … can it really be 36 years since Abba won the Eurovision Song Contest with Waterloo? Yes, it’s true and two of the stage outfits worn by the Swedish supergroup on that famous occasion in April 1974, are going on display in a new multimedia exhibition at Federation Square. Abbaworld, opening on June 19, features Agnetha Faltskog’s midnight blue tunic and knitted cap alongside Frida Lyngstad’s folkloric shirt and skirt. “To me, the Abba costumes are works of art,” Abbaworld project manager Judith Penrose said yesterday. Abba’s Eurovision success is a legendary pop story. In 1973, Agnetha and Frida joined band mates Bjorn Ulvaeus and Benny Andersson in presenting Ring, Ring as a Swedish entry for the competition. A year later, the foursome were known as Abba – an acronym of their first names – and blitzed the competition at Brighton with Waterloo. This infectious song shot to No. 1 around the world and an album of the same name paved the way for Abba fever. “For some, Waterloo was a defeat, but for Abba, it was the beginning of an empire,” the group’s costume designer Owe Sandstrom said. Exclusive to Melbourne, Abbaworld takes visitors on an interactive journey through Abba history. Comments : Comments Off on ABBA SHOW TO RING A FEW BELLS! Ace Of Base singer Jenny Berggren has released her first solo single to be followed by her first solo album “MY STORY” in September. The single + remix’s + album will be released on iTunes at a date to be confirmed. Carl Magnus Palm has written about the new Deluxe edition of Voulez-Vous, and how it will contain a new full length version of DREAMWORLD! Voulez-Vous was first released in Sweden in April 1979. Although sessions had begun more than a year earlier, the recording period resulted in a number of unreleased tracks in various stages of completion, and half the album was actually written and recorded in a burst of creativity in the last few months before the release. 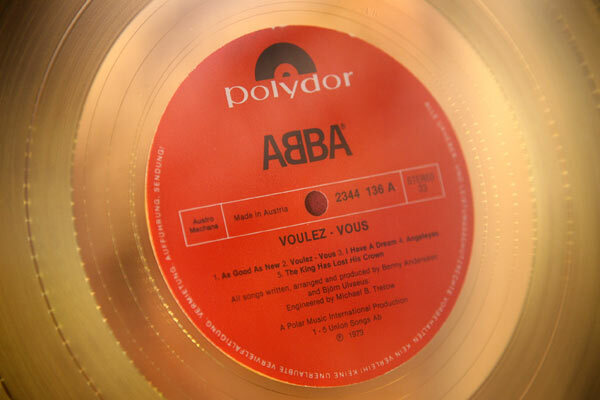 Featuring hit singles such as ‘Chiquitita’, ‘Does Your Mother Know’, ‘Voulez-Vous’ and ‘I Have A Dream’, it was not an all-out disco album, although several of the tracks featured an insistent dance beat and funky rhythms, and the sleeve was shot at the Alexandra’s discotheque in Stockholm. Following on from the Deluxe Editions of Arrival and ABBA – The Album, work on the Voulez-Vous Deluxe Edition begun back in 2008. Although much was accomplished back then, for various reasons it was put on the back-burner and not revived until the autumn of 2009. The format is the same as for previous Deluxe Editions: one disc a CD of the original album plus bonus tracks, one disc a DVD of rare and previously unreleased television material relevant to the Voulez-Vous era. All tracks on the CD have been remastered especially for this release, all in an effort to further improve the sound quality on ABBA releases. The bonus track ‘Dream World’, recorded during the Voulez-Vous sessions but not released until 1994, should be of special interest to completists. When this track was first issued on the Thank You For The Music box set, it was faded in to conceal a damage on the master tape. For the Voulez-Vous Deluxe Edition release we managed to locate a tape without the damage, meaning that ‘Dream World’ now appears “in full” for the first time on CD.